finely cut strands of brined cabbage, two kinds of Red Gold. 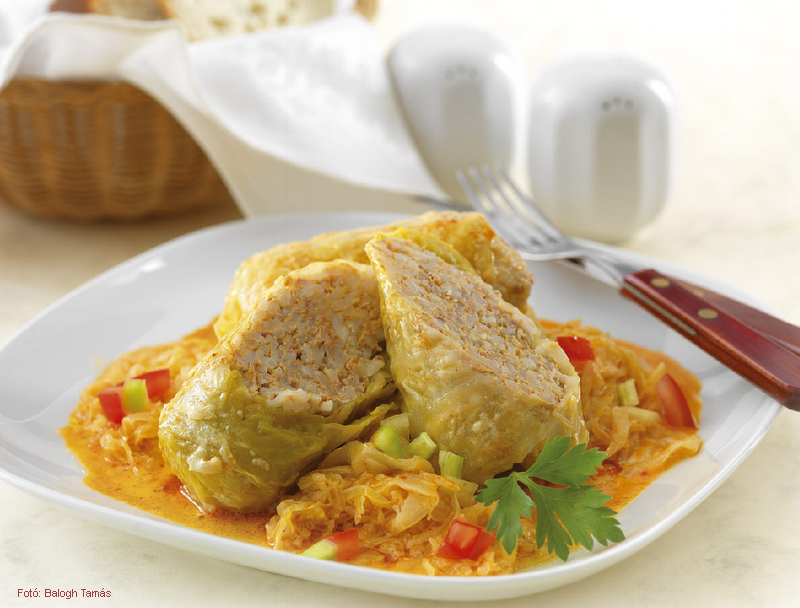 Put the stuffed cabbage leaves on top. over it. For those who like it, also season it with savory.